The countertop is an essential feature of any kitchen. We use it to prepare and serve food or as a place to gather around. When remodeling your kitchen, one of the first things you will want to decide on is what type of material to use for your countertops. With so many options to choose from including wood, quartz, solid surfaces, or laminate it can be difficult to decide. 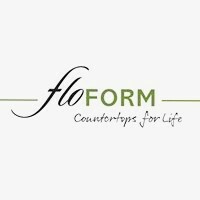 For all your countertop needs look no further than FLOFORM Countertops. We make choosing the right counters for your kitchen a breeze. Our Kent, WA showroom has a brilliant selection of countertops on display to help you choose the perfect fit for your home. Need more help? AT FLOFORM our design staff is available to help you select the right match for your needs and budget.